The Mustad KVD Grip Pin 2X Fine Wire Soft Plastic Hook features a lighter wire hook however offers a bulked up strength allowing for an unhindered action to plastics while still providing strength and reliability. 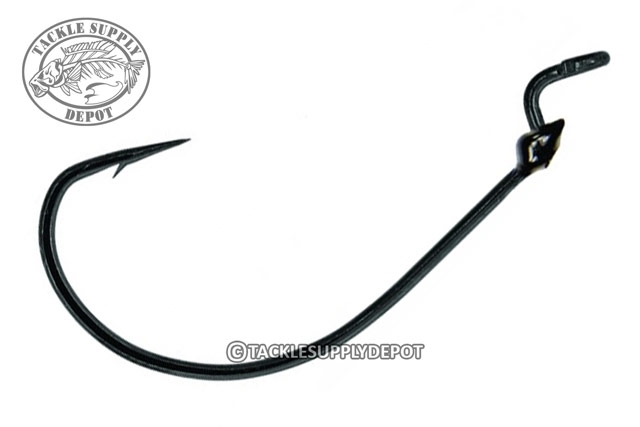 Designed with the Grip Pin plastic keeper molded around the hook shank that firmly secures plastics in place. Ideal for an array of plastics such as soft jerkbaits, creatures, worms and tube baits. This versatile no slip, no slide design allows for optimal presentations and fishing efficiency.